These slender animals, which fed on fast-moving prey such as squid and small fish, lived during the Jurassic era in shallow seas and lagoons in what is now Germany. Related species have previously been found in Mexico and Argentina. The fossil was discovered in 2014 in a quarry near the town of Bamberg in Bavaria, Germany by a team from the Naturkunde-Museum Bamberg, where it is now housed. The species, Cricosaurus bambergensis, takes its name from the town. "The rock formations of southern Germany continue to give us fresh insights into the age of dinosaurs. 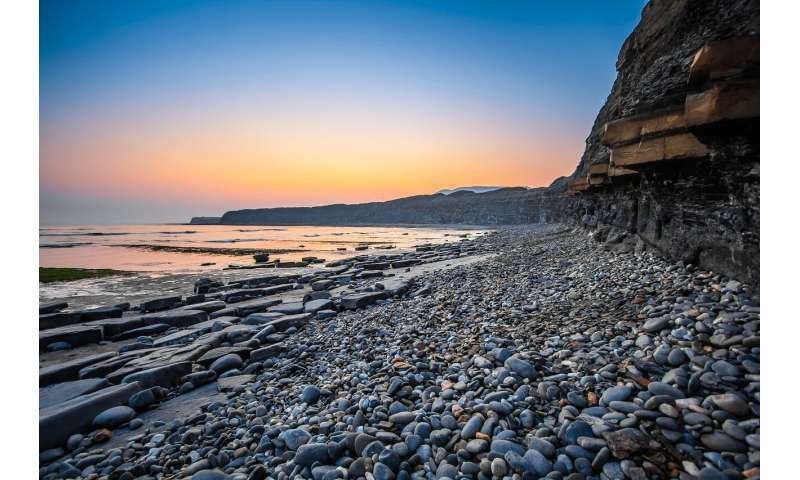 These rock layers were deposited at a time when Europe was covered by a shallow sea, with countries such as Germany and the UK being a collection of islands," said Dr. Mark Young of the School of GeoSciences, University of Edinburgh. "The study reveals peculiar features at the palate that have not been described in any fossil crocodile so far. There are two depressions which are separated by a pronounced bar. It is not clear what these depressions were good for," said Sven Sachs of Naturkunde-Museum Bielefeld.